Cycling neck pain describes symptoms that begin or worsen from riding a bicycle, dirt bike or motorcycle for any significant length of time. Neck pain is just one of the many possible anatomical consequences for serious cycling athletes, since many are also affected by lower back ache, tendonitis, joint problems, sciatica and hemorrhoids. Most patient complaints come from serious athletes who compete in some form of cycling sport on a regular basis. Racing and touring cyclists make up the majority of patients who experience activity-related neck symptoms. However, other patients might be casual riders or even weekend motorcyclists. Typically, these complaints are sourced from different anatomical concerns than racing or touring athletes. 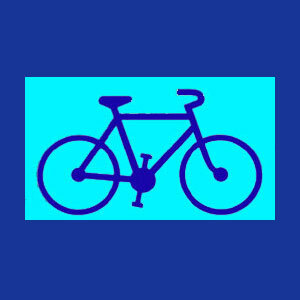 This essay delves into the existence of cycling-related neck ache and provides guidance for patients who feel that their favorite pastime might be under threat by serious symptomatic expressions. Touring and racing athletes must both maintain long durations of hunched forward posture, with their body mass tucked into the bike, while their head must remain upright for visibility. This posture can place inordinate stress on the musculature of the neck and the force of bumps and turns can even injure the spinal structures over time. Athletes who compete on race tracks must also bend their necks side to side at sharp angles when making turns. However, this practice in bike racing is not nearly as pronounced as it is in motorcycling racetrack competition. All these bending and flexing activities can create muscular neck strain, can cause postural neck pain and can even contribute to spinal degeneration and trauma, such as intervertebral herniation and arthritic formations. Acute or chronic pain syndromes should always be evaluated by a qualified sports physician. Casual bicyclists usually do not suffer from severe types of neck symptoms, but some patients with preexisting spinal or muscular issues in the upper back and neck might suffer stiffness, pain or even neurological effects after riding a bicycle for any length of time. These occurrences should be evaluated by a trained physician or physical therapist to determine the causative mechanism and ideal treatment path. Motorcycle riders are certainly not immune from suffering similar neck pain conditions to bicyclists. Racing and touring athletes are once again the main patient demographics, with many on and off-road racers citing recurrent neck symptoms or chronic pain syndromes. Track racers face unique challenges in that they must remain hunched forward and posturally tight to the bike, while bending their necks at extreme angles in turns that might place their knees less than an inch off the ground. Meanwhile, off-road racers must handle tremendous forces throughout their bodies, from every bump, impact and slide in the dirt or sand. Racers who jump have exacerbated risk factors for all manner of dorsalgia conditions, due to the tremendous force of landing. Occasional motorcyclists might suffer from similar pain conditions to casual bicyclists. These scenarios typically stem from existing neck pain concerns that are posturally-exacerbated by time spent on their favorite ride. Motorcyclists who suffer any type of neck pain should seek a consultation with a sports medicine physician or a physical therapist for diagnostic assessment. 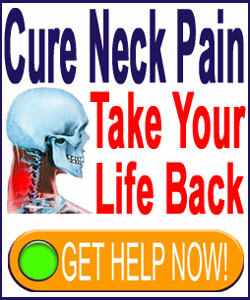 Neck pain is a common consequence of many sporting pastimes. Since some forms of bike riding can be very strenuous physical exertions, it is no surprise that many participants suffer uncomfortable neck and back issues. It must be mentioned that all forms of cycling involve the risk of falling. Few, if any, serious athletes have never fallen and many have fallen time and time again. All these traumas can injure the spine or muscular anatomy acutely, or over time, through minor repetitive strain. It goes without saying that any symptoms which begin or worsen after a fall should be taken seriously, since these types of events increase the chances of suffering a potentially serious pathology in the neck or back, such as a fracture, altered curvature or disc prolapse. Cycling is a discipline and the disciples of the various cycling sports go to great anatomical lengths in order to excel. The wear and tear on the body is tremendous, but for competitive athletes, there is equal strain on the psychoemotional self. It is for this reason that all patients must factor in any possible emotional contributors to their pain. After all, it is commonplace for any type of competitive athlete to suffer mindbody symptoms related to internal and external pressures placed upon them in their chosen pastime. If pain exists and can not be traced to definitive anatomical factors, or if the pain can not be successfully treated, it is wise to consider addressing possible mindbody factors that may be the true underlying causation.